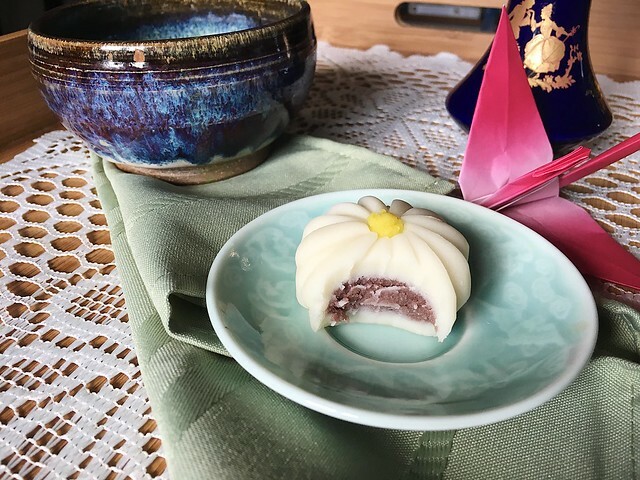 I posted a few teasers on Instagram this weekend, but I thought I’d share a full recap from my weekend outing to the pop-up shop of the wagashi artisans at Matsukawaya DC at Union Market. This was a relatively spur-of-the-moment outing, as I was about to head downtown to my Saturday morning barre class when I turned to Mr. Tweed and asked if he’d be willing to meet me downtown after my class so we could go to the market for lunch and to see the confectionery. The stand itself was somewhat unassuming among the delightful chaos of Union Market, but the stunning artistry of the sweets still caught the eye. 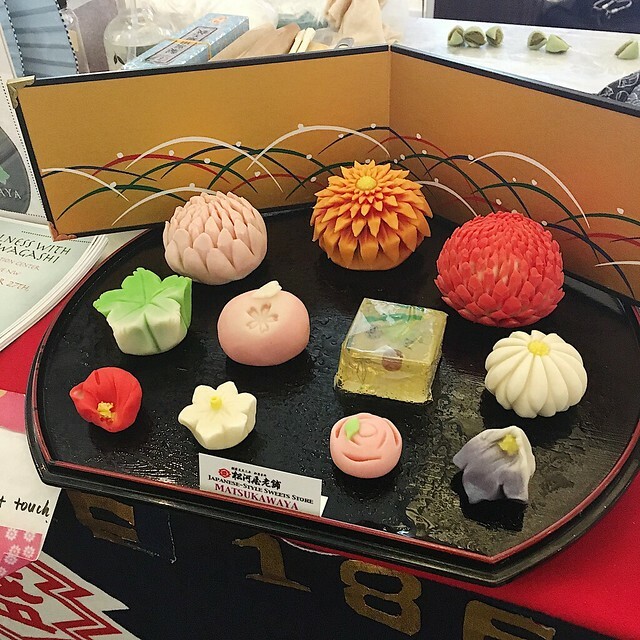 They had a display of shaped namagashi and displays of wrapped sweets, along with samples of mochi, monaka, and other sweets. They were even making fresh strawberry mochi, which was absolutely sublime. I’d never had mochi this fresh and it was amazing. It absolutely melted in the mouth. After gathering our lunch, I stopped back at the stand and spent a while agonizing over the selections. I settled on one namagashi and a gei monaka to take home for later with my tea. The lovely young lady working at the stall included a couple other sweets as service, and the nice man who was folding origami presented me with a pink crane. With my treasures in hand, we made our way home. 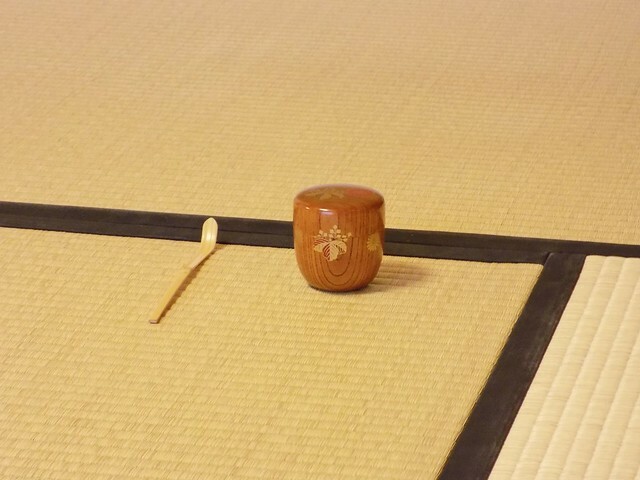 I think here is a good place to pause and talk a bit about wagashi. 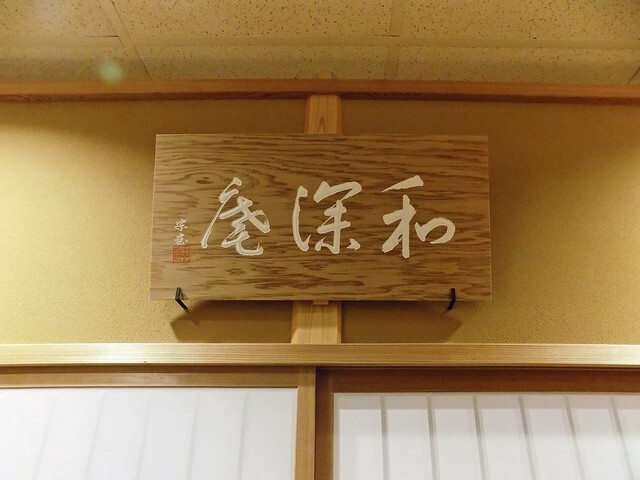 The word “wagashi” comes from the word for sweets — originally referring to fruits and nuts, but eventually including sugared sweets — with a prefix indicating they are a Japanese art. 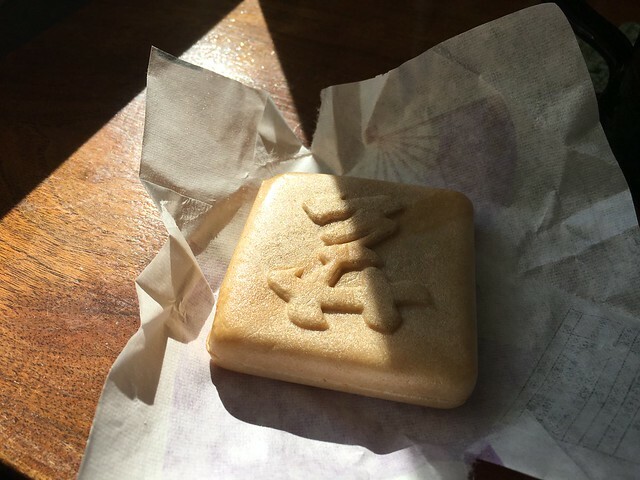 They are made with sugar, yes, but also such typically-Japanese ingredients as sweet rice flour, red bean paste, and kanten or agar. 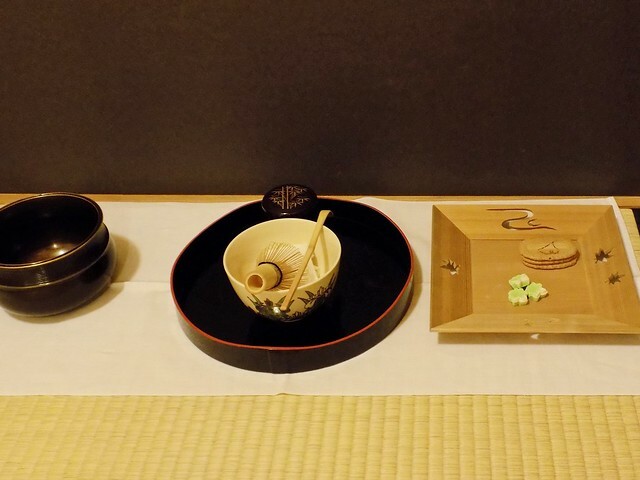 The variety called namagashi are served with the traditional Japanese tea ceremony as a complement to the bitterness of the tea. 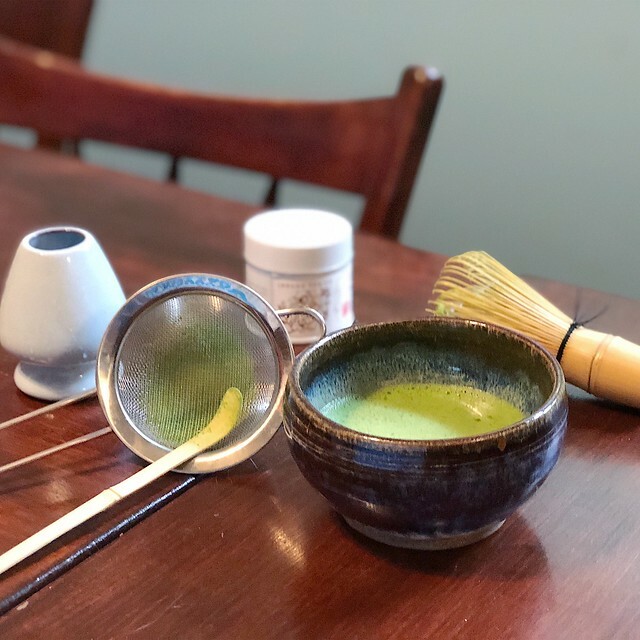 As I was told during my tea demonstration, the sweets are served and the ceremony is timed such that the sweetness is still on your tongue when you first sip the bowl of matcha. 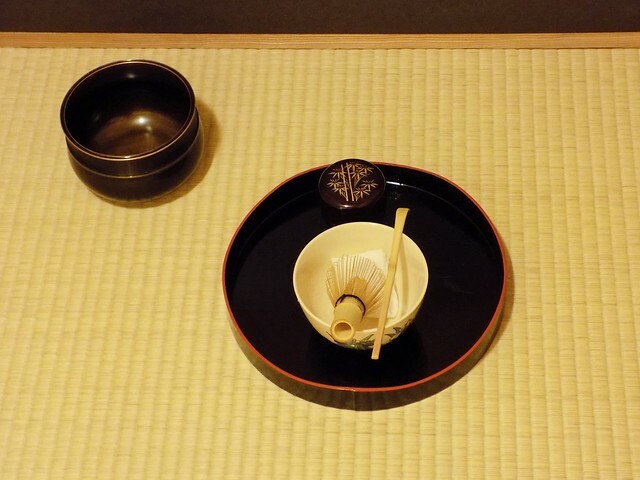 So wagashi are not only best eaten with a nice cup of green tea, but indeed they are inextricably culturally linked to tea. 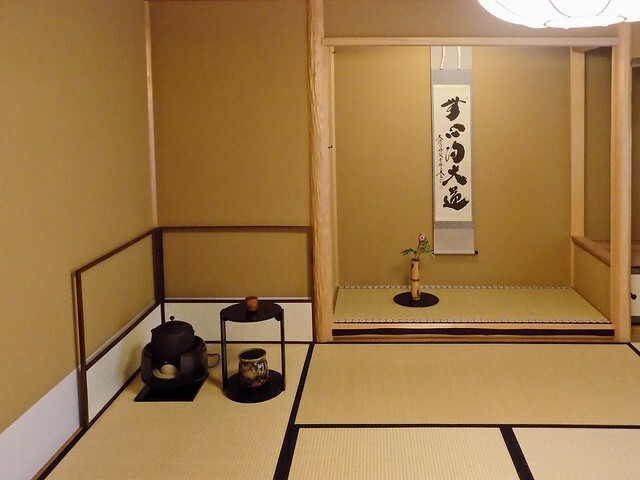 So it was no surprise that this pop-up shop was hosted by one of my favorite local tea houses, Teaism. 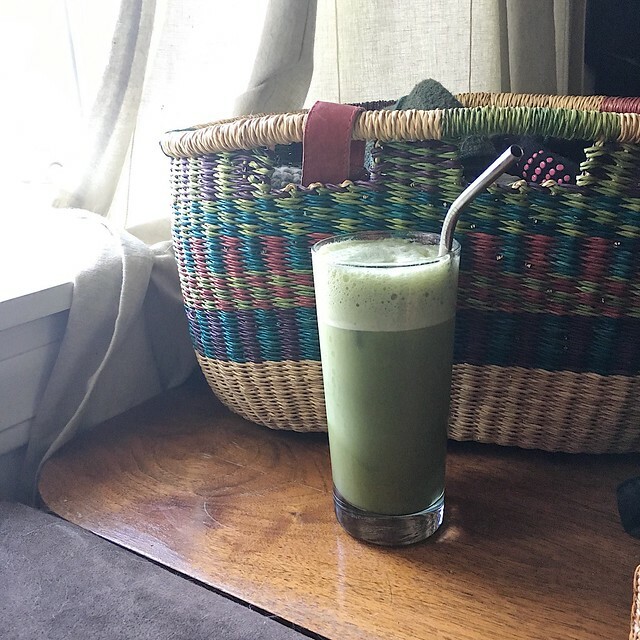 Upon returning home, I immediately started heating my kettle and gathering my matcha supplies. 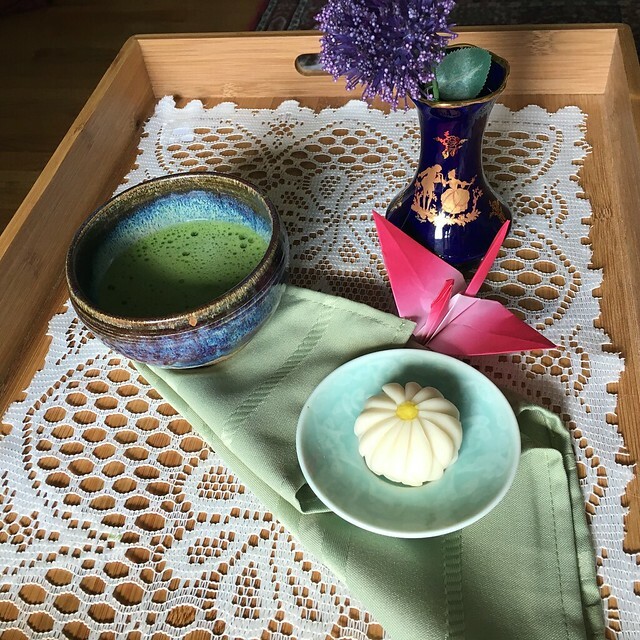 I decided to use my O-Cha organic ceremonial grade matcha for the occasion, whisked up in my new bowl purchased recently from a local artist. As the water heated, I opened my bag of sweets and pulled out the beautiful chrysanthemum namagashi in its little display box. As I opened it and separated it from the protective film underneath, I was struck by how delicate the sweet was. I placed it on a small saucer and made my tea. I took both to a quiet, sunny corner of our living room and sat to enjoy my little treat. The sweet itself was quite soft, with a flavor that surprised me, given that I thought the most care would be taken with the appearance. But of course, wagashi are meant to appeal to all five senses. While the sound of this tender sweet was silence and its visual appeal apparent, I was delighted by the other three sense as well. It was a soft and smooth texture, yielding but not mushy. As someone who takes issue with a lot of textures, I found it amazing. As I bit into it, I smelled the rice and sweetness scent and tasted the complex flavors that married into this delicious sweet. It had a smooth sweet bean paste filling. And the small size meant that I enjoyed every bite, rather than becoming overloaded as I often do with a Western pastry. 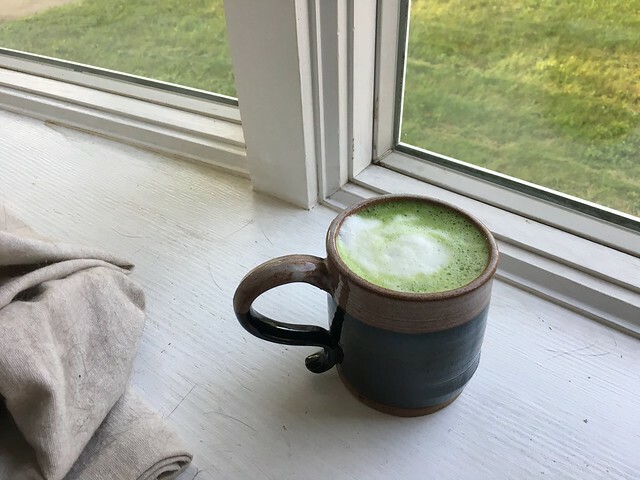 Despite being against tradition, I did pause and sip some matcha in between bites of sweet, but I found they blended so well together. And when the moment was over, I was able to bask in the peace and pleasure of it. Later on, I broke into the gei monaka, a sweet made from red bean jelly sandwiched between two crisp rice crackers. 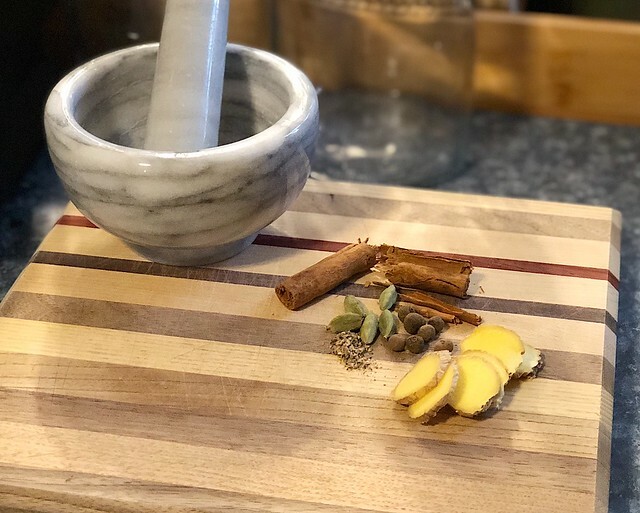 I had had one of these before on my last visit to Teaism, and I knew I enjoyed it. I still haven’t tried the service sweets I was given, but I look forward to them as well. All in all, this was a lovely outing, and I encourage everyone in the DC area to take a trip out to Union Market before the 30th of September when the pop-up shop goes away. A final note: Please remember my campaign for a matcha-infused, dual-targeted masking system at Volition Beauty. Go here to vote.